For some dogs, car rides produce a great deal of anxiety. A combination of fear and not understanding what is happening will cause drooling, shaking, or even vomiting in some dogs and cats. In humans, we refer to this as car sickness or motion sickness; however, true motion sickness is a result of an inner ear problem. 1. Get your dog used to the car environment. Get in the car together and have a treat. Talk. Be happy. Make it a fun time. Do not have the car running, just share a treat and make it a positive experience. Repeat this a number of times on different occasions. You may want to feed your dog in the car. 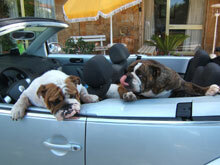 If your dog is afraid of even getting into the car, try feeding or giving a treat close to the car. 2. Get your dog used to the car while it is running. Repeat step one, only this time start the car. Give a treat before and after. If she looks or acts nervous, reassure her that everything is OK. Take your time and make sure she is relaxed before ending the session. 3. Get your dog used to the motion of the moving car. Once she is used to the car running without any fearful reaction, back the car to the end of the driveway, then forward again to the garage. Give her a treat and praise her. Repetition is the key. The more you do this the more confident your dog becomes that cars are no problem. In fact, to her it becomes a great place for attention, praise, and even treats. 4. Now it is time to take a short trip around the block. Treats and praise before and after, and calm, reassuring talk throughout the ride are a pre-requisite. 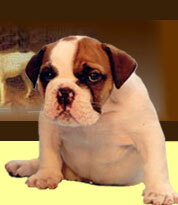 Gradually increase the distance traveled until your dog is calm no matter how long she's in the car. Some dogs truly do have motion sickness, and for these animals products such as Dramamine can be used under the supervision of a veterinarian. For most dogs, however, the sickness is strictly an over-reaction to the fear and apprehension of the car noise, motion, etc. 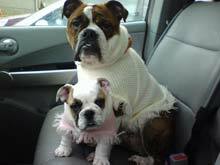 If your dog would rather be anywhere besides in the car, here is how you can help her overcome the fear of car rides.